This recipe is a great thing to pull out when you have a vegetarian coming over for a quick snack /sandwiches or as a low carb version that goes great with grilled poultry. With everyday affordable ingredients and only couple of steps, this is an easy (chick)peasy recipe. 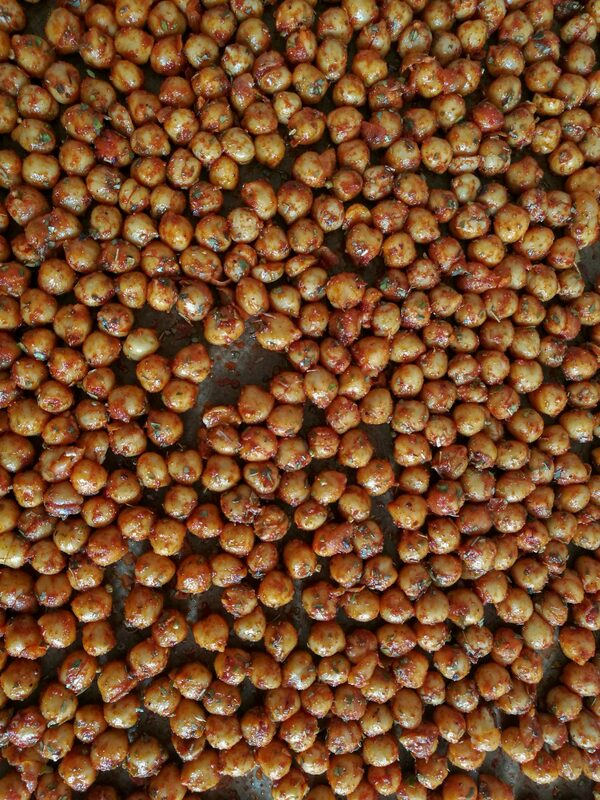 Drain and rinse the chickpeas and par dry with paper towel. 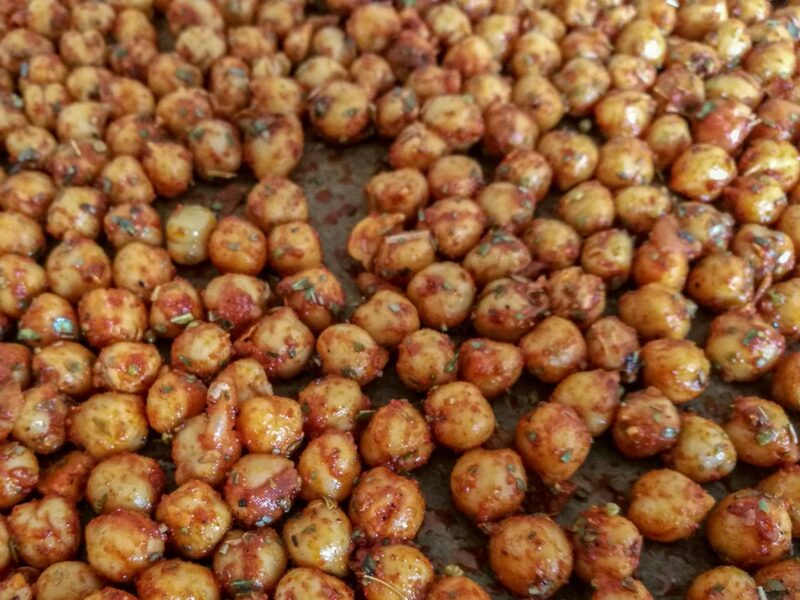 Discard any skin that comes off the chickpeas. Mix all the spices together and sprinkle over chickpeas mixed with olive oil. Gently toss and mix. Spread over a baking tray covered with baking paper and put in the oven for 20 minutes (200 Celsius degrees). 10 minutes in, stir the chickpeas.